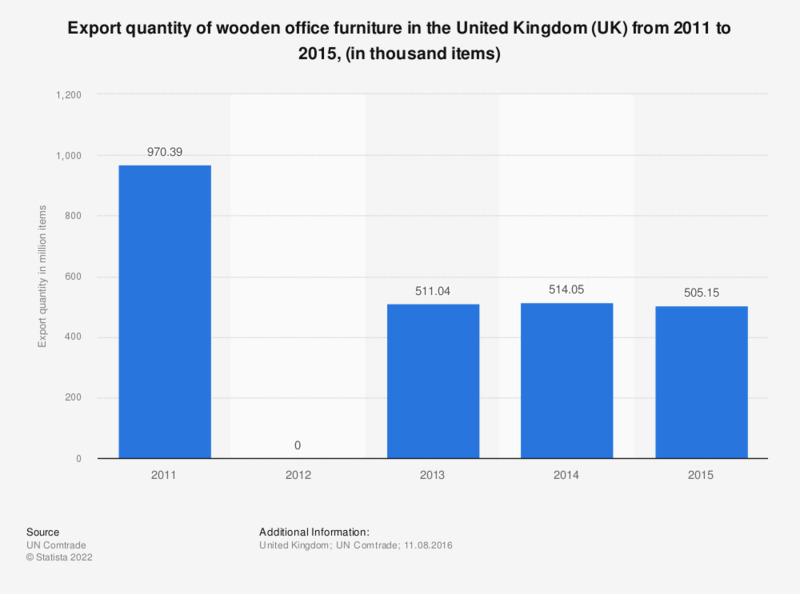 This statistic portrays the quantity exported of wooden office furniture in the United Kingdom (UK) between 2011 and 2015. Having started off at a quantity of 970.39 thousand items in 2011, the exported quantity almost decreased to the half, amounting to 505.15 thousand items in 2015. The biggest decrease was seen between 2011 and 2013, accumulating to almost 460 thousand items. Data on the export quantity could not be retrieved for the year 2012.